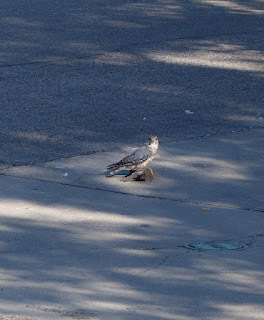 We've been seeing this fellow/lady on our morning dog walks for most of this summer. It was a frequent resident of the park that we walked through and was always quite noisy and boisterous. 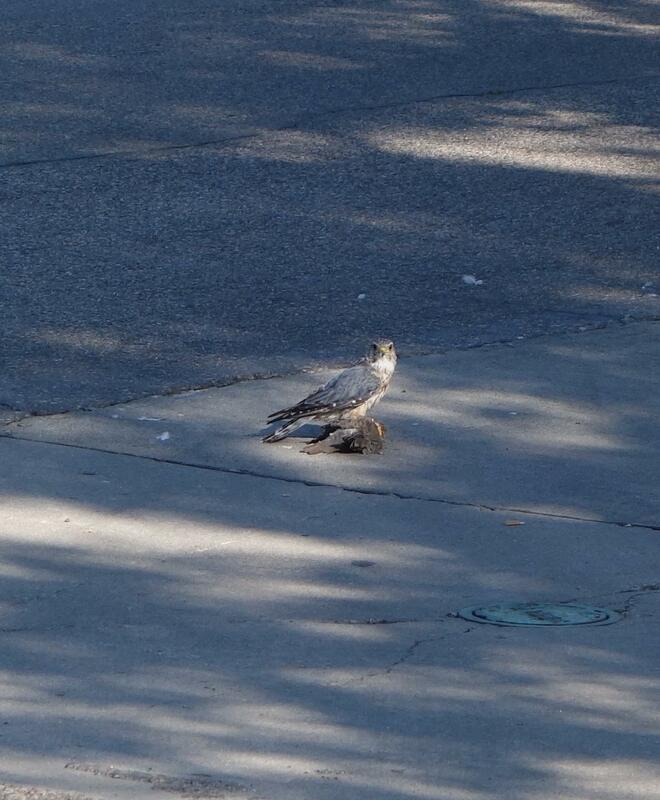 This is a merlin, a small falcon commonly known as a pigeon hawk. You can see in the pictures below where that name comes from. 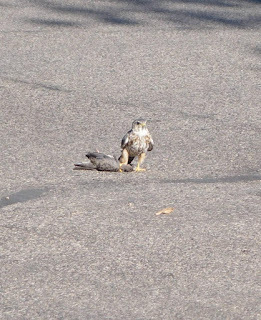 The other day I noticed that the merlin was standing in the street outside the house and it looked like he/she had snagged some lunch. An unfortunate dove was grabbed. We don't relish seeing birds get eaten, but it is fascinating to see the web of life in and around our small little homestead. 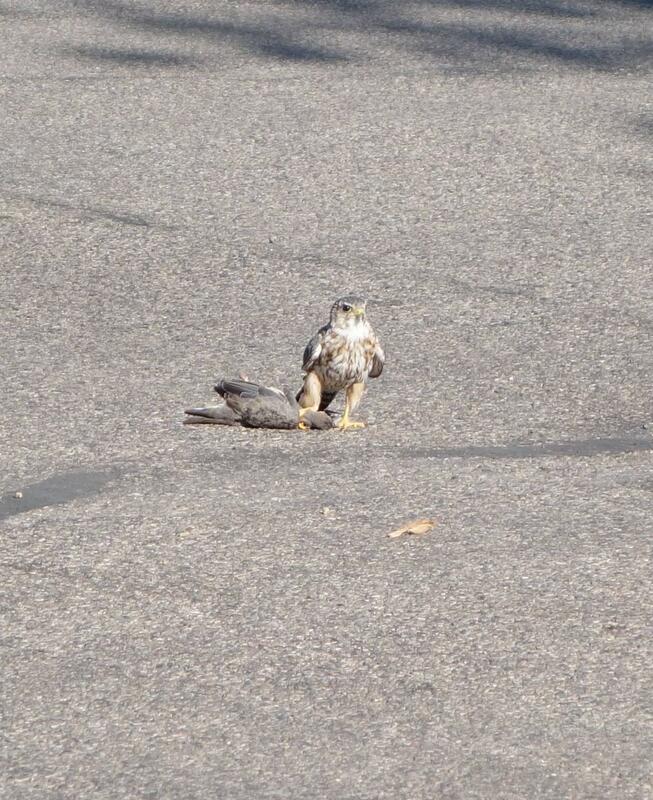 The merlin was a very good looking bird, striking blue and gray wings with mottled white and brown undercarriage.